SAN FRANCISCO — Creators of an app that will let people assign ratings to those they know vowed to launch as planned next month despite online outrage at the idea. Peeple has been likened by critics and supporters alike as a Yelp-style review service at which people are rated, without their consent, the same way a person might give a grade to a restaurant or an airline. Yelp was quick to make it clear it was not associated with the Peeple startup, which some reports valued at $7.6 million based on investment funding raised. Peeple is an app for rating and commenting about those who one interacts with in daily life personally, professionally, or romantically, according to the forthepeeple.com website. Founders and close friends Julia Cordray and Nicole McCullough defended their creation on Thursday as an online venue for praise and constructive feedback. A firestorm of criticism at Twitter, Facebook and other online venues countered that the creators of Peeple were either naively or intentionally downplaying how nasty commentary can get on the Internet. “Innovators are often put down because people are scared and they don’t understand,” read a message from chief executive Cordray at the Peeple website. Cordray referred to Peeple as a “positivity app” that will launch in November. “Whether you love us or our concept or not; we still welcome everyone to explore this online village of love and abundance for all,” the website message said. 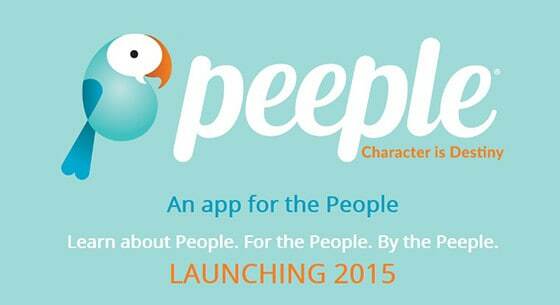 Peeple lets people rate friends, family, dating partners, or others with one to five stars. Subjects being rated are not asked for permission. Raters must log in using Facebook accounts with their real identities, and need only a name and matching mobile phone number of the person they are judging. Those targeted with unflattering commentary at Peeple are held for two days to give the involved parties time to work matters out. Twitter erupted with vitriol aimed at Peeple. A barrage of tweets condemned the idea of an app for rating humans as a nightmare that would be used as a weapon by bullies or stalkers with potentially tragic real-world results. “At least, I signed up to have the world judge and grade me publicly,” model Christine Teigen said in a tweet from @chrissyteigen. “In an age where both truth and gossip on the Internet can literally ruin lives, this peeple app is horrible and scary,” Teigen said in a separate tweet. In a move critics pounced on as hypocritical, Peeple’s founders blocked or condemned some of the unsolicited online criticism being fired their way. Remember when the worst thing today was #peeple?